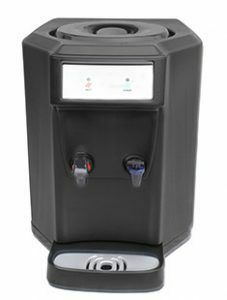 A water dispenser effect is a phenomenon, occurring when employees at a workplace gather around the office water dispenser and chat. It is a synonym for gathering and connecting people in a certain environment (e.g. the office). 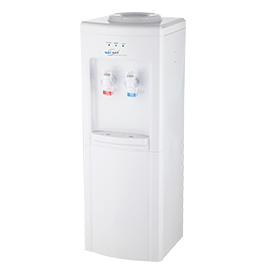 When a television program, like a soap-opera or series, is talked about among many people (mostly related to guessing what will happen in the next episode) it can be said that the program has a water dispenser effect. 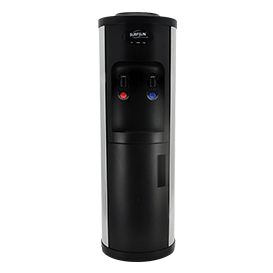 There are also smaller versions of the water coolers where the cooler can be placed directly on top of a table for serving a smaller number of people. 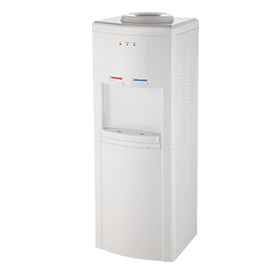 Water coolers can be directly connected to the in-house water source for continuous dispensing of hot and cold drinking water. 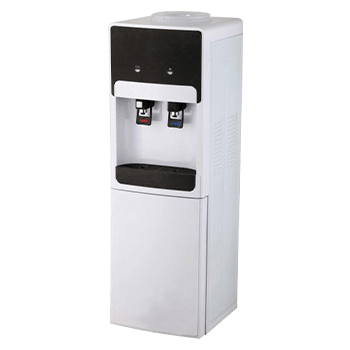 A freestanding design generally involves bottles of water placed spout-down into the dispensing machine. 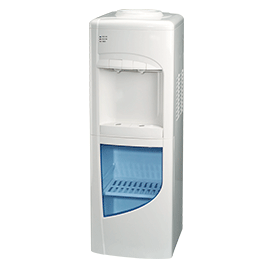 Tabletop or kitchen worktop versions are available which utilise readily available five-liter water bottles from supermarkets. These coolers use air pumps to push the water into the cooling chamber and Peltier devices to chill the water. 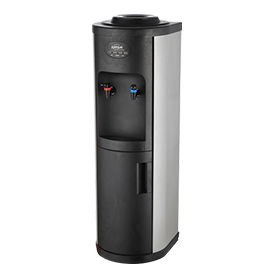 A new development within the water dispenser market is the advent of countertop appliances which are connected to the mains and provide an instant supply of not only chilled water but also boiling hot and hot water. 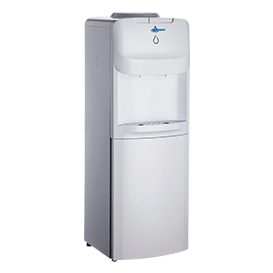 Plumbed water coolers use tap water and therefore do not need bottles. Usually some method of purification is used. A modern water cooler dispensing cold water, hot water and boiling water. Usually units offer a refrigeration function to chill the water. 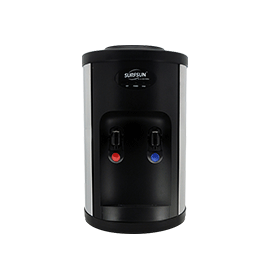 Some versions also have a second cooler that delivers room-temperature water or even heated water that can be used for tea, hot chocolate or other uses. 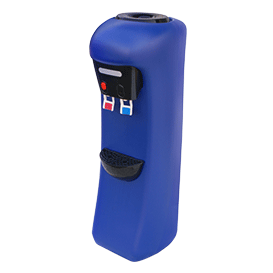 The water in the alternate hot tap is generally heated with a heating element and stored in a hot tank (much like the traditional hot water heaters used in residential homes). Additionally, the hot tap is usually equipped with a push-in safety valve to prevent burns from an accidental or inadvertent pressing of the lever. Have any problem with your Water Dispensers? If anything of that or inline with that is the case, then you’ll probably love our timely and affordable servicing!